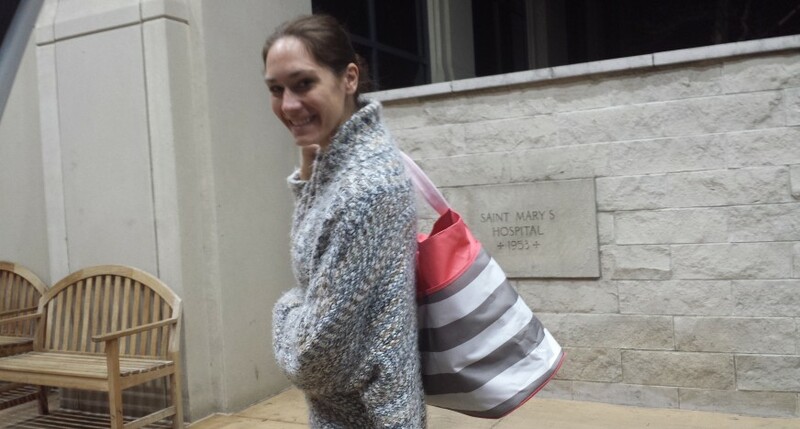 My first Chemotherapy treatment was on Monday. 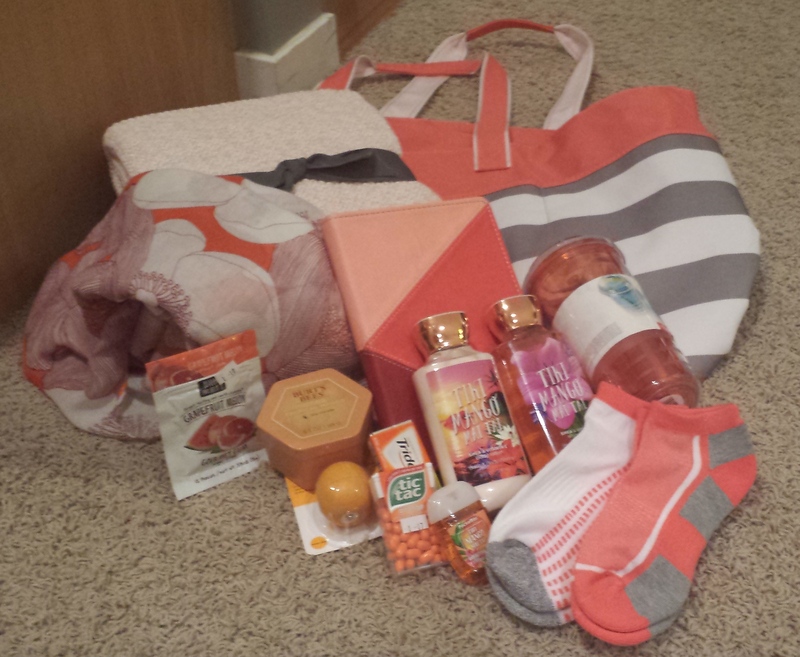 My sister-in-law, Sara, had packed me a really cute coral (not pink) bag full of goodies she had researched were nice for cancer patients. I am a cold person, so the blanket got used right away! 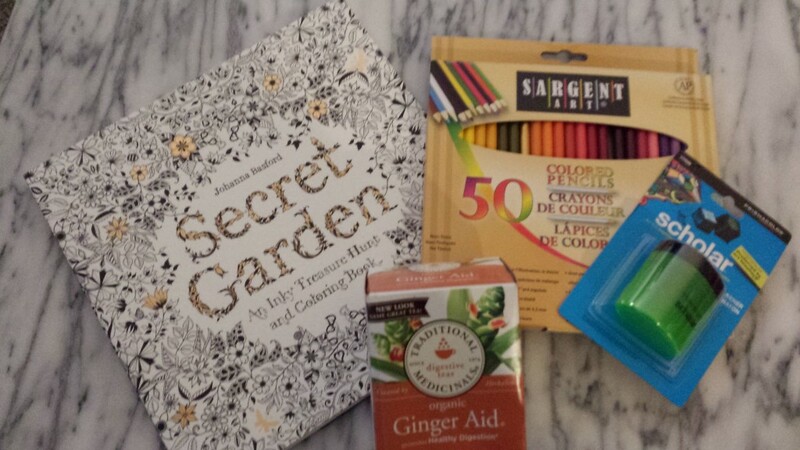 My friend, Jessica put together a coloring book gift set for me, I brought it but ended up sleeping so I will for sure use it next time. Thanks girls! The day actually started out with surgery at 6am to put in a port on the right side of my chest just under my clavicle bone. The nurses were really sweet and let Wes and Fierce visit with me up until the time I had to go into the surgical room. Wes brought Fierce to my mom’s after that so he could come back and sit with me during the chemo part. I was glad he was there because at first they put me in a wide open room with many other cancer patients. This wouldn’t have bothered me if everyone talked to each other, but basically they just sat next to you hooked up to their machines and pretended you were not there. Wes asked if we could have a private room so we could talk to each other without having the room overhear our conversation and the nurse gave us our own room. Honestly, anything you ask for if it is available, they really accommodate the patients. Then, I got a Lupron shot (supposed to save my ovaries). Around 11am they gave me some anti-nausea medicine then the chemo drugs. I felt great almost like nothing happened. Then 3pm came around and my body flipped a switch. We had planned on going to grab a bite to eat before we went home, but I told him I wasn’t going to make it so we just went straight home and Wes picked up some food later. The nurse had told me that I wouldn’t get nauseated until 2 or 3 days after treatment, but I think because I couldn’t eat before the surgery and I only had a granola bar during the chemo treatment that my stomach was just not well nourished. So, note to my future self: Eat before treatment! Since then I feel like I am on a roller coaster of nausea bouts. I lay down and feel good, get a few things done or play with Fierce and then back to bed. So many people have really blessed me during this unplanned time of needing help. My mom helped me clean, my dad brought over a new toy for Fierce, my cousin JoDe did my dishes, my aunt Deb will be coming tomorrow and my cousin Jessica will be here on Thursday while I get my hair cut. Thanks everyone!